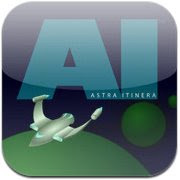 My first iPad game, Astra Itinera, is now available on iTunes! Astra Itinera is a turn-based strategy game. Check out the Facebook page. Recommended by MacMost.com: "The interface is simple, but the game play is deep." Mentioned in the CartoonSmart.com blog.